Jubilee Hall’s FREE open-air Zumba classes have already been proving very popular! The sessions run every Wednesday morning from 8.00am-8.40am in Covent Garden’s famous Piazza, in front of St Paul’s Church. Everyone is welcome to join in with our internationally-acclaimed Zumba instructors, Sandra, Pamela and Lara. All participants can use the nearby Jubilee Hall gym to change and shower, and can also take advantage of a free 7-day trial membership. 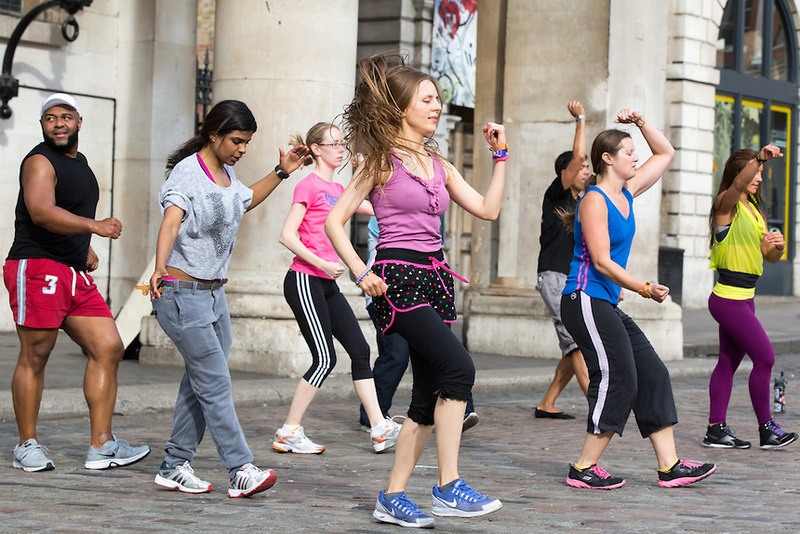 This activity is part of Covent Garden London’s summer programme, and is delivered in partnership with Zumba – the Latin-inspired, easy-to-follow, calorie-burning dance fitness party!